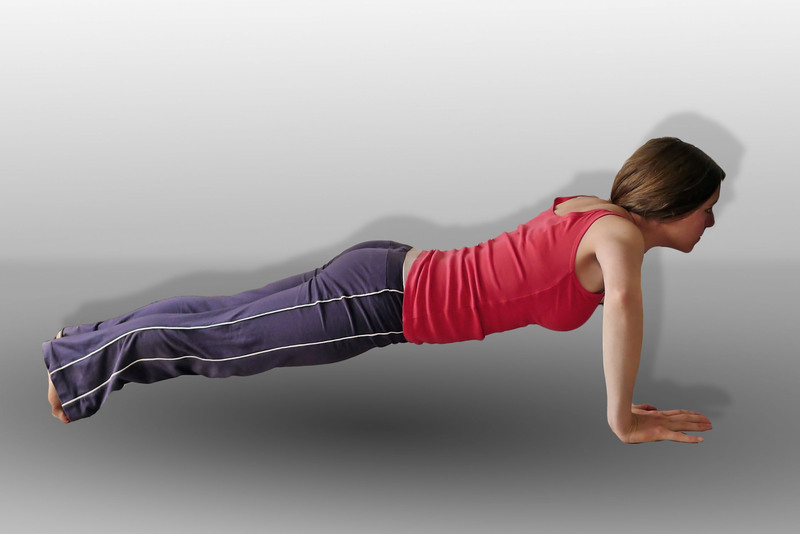 DIFNA 2015- Push ups are one of the most popular and effective body weight exercises, when done properly. We previously posted about doing basic push ups the right way to avoid shoulder injury. We were inspired by the “Pimp Your Push Up” article at Breaking Muscle. That post on basic push up form has been our most popular fitness post at DIFNA by far. In case push ups continue to be overlooked as a beneficial exercise, perhaps due to their relative simplicity and lack of fitness equipment required to buy (and sell), these are some compelling reasons to revisit the benefits of a basic push up. At DIFNA, we are about increasing overall health and maximizing our human potential. Any exercise that effectively increases functional strength for the whole body sounds good in our book- especially if you can reduce the risk of injury and not need to spend a lot of time or money on special equipment! We emphasize strength and basic health, but looking healthy is important, too. We all want muscle definition and there’s nothing wrong with wanting to be “ripped” and have others appreciate the obvious effort and care you put in to building and maintaining an impressive physique. Natural HGH promotion sounds like a “win-win” as well. Of course we have extensively covered the benefits, as well as how to avoid shoulder injury with basic push ups. This may be the most relevant push up benefit to a large segment of our readers, those who want to get fit but worry about overdoing things and injuring themselves. Basic Push Ups can be very effective and low-risk for injury, when done correctly with proper form. These are just a few benefits of incorporating push ups into your workouts. We highly recommend checking out the full 10 Benefits of Push Ups article for even more great reasons! Next story Official Launch of Difna Fitness Youtube Channel!